“As the scene opens, you are up in your grandmother’s attic opening the dusty steamer trunk she brought from Europe in 1914. You reverently turn back layer upon layer of old lace and brocade … unveiling a packet of old love letters tied in silk ribbon. Ancient dried rose petals flutter down from between the envelopes. On a chilly November evening, post-Dallas, post-Watergate, post-Florida, post-9/11, and not-yet-post-Iraq, there’s no small amount of satisfaction to be found in a drink that calls up a honeyed past, and provides a moment’s distraction from the bitter present. [The Widow’s Kiss is] the most passionate poem which the liquor laureates of the Holland house hand out. Facile alliteration aside, I think you catch my point. People just can’t seem to help themselves. Reduce the proportion of the liqueurs. It’s traditionally 2:1:1, and some very reputable people, like Jim Meehan in the PDT Cocktail Book, go instead 4:1:1. This or something like it is similarly recommended by Savoy Stomp, Eric Felten at the Wall Street Journal, and others. Do your best to water it down. Some, like David Wondrich in Imbibe, stick with with Kappeler’s original instructions to shake this drink instead stirring it. Shaking is considerably more effective to dilute and chill than stirring (100 seconds of stirring ≈ 12 seconds of shaking), and it also aerates, making the drink thinner. Others, as with the Stinger (another all-booze drink that’s too sweet), advise crushed ice to deliver the extra water. Deal with it. Accept the drink as it is and only serve it after dinner, at the end of the night, or any other time a sweet drink is called for. Stir over ice, strain into cocktail glass; garnish with nostalgia. Insofar as calvados vs. apple brandy is concerned, go with calvados if you’ve got it. It’s a heavier spirit, more rustic and agricultural than American apple brandy, and it seamlessly fills the gaps left by the liqueurs and bitters. 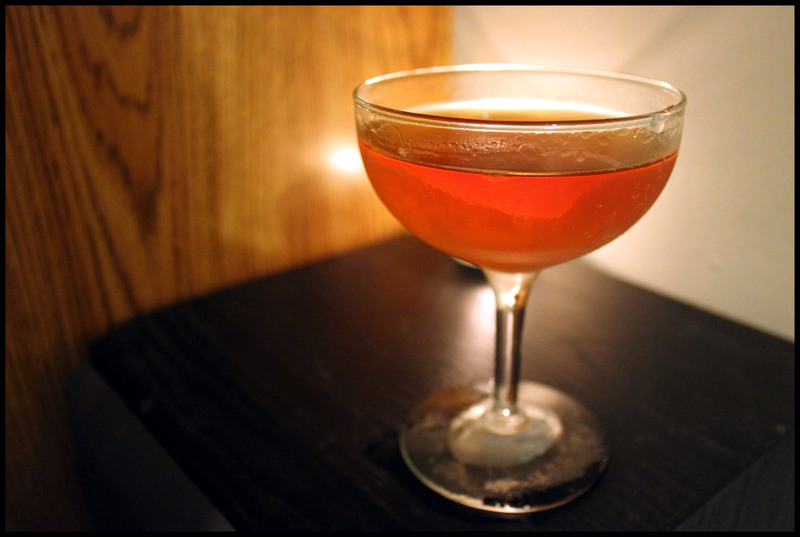 With calvados, use either no garnish or a neutral aesthetic garnish, like a cherry. If all you have is Laird’s Apple Brandy, or even worse, Applejack, feel free to make the drink but garnish with a lemon peel: the lemon oils offer a rather pleasant misdirection to compensate for the brandy’s lack of weight. Whether to shake or stir (a.k.a. why above point #2 doesn’t really work): this kind of sweetness is only acceptable to the palate if it’s enrobed in velvet texture. Shaking makes it thinner, losing the silkiness and shoving the drink into diaspora: too sweet for a thin drink, too thin for a sweet drink. What I found curious about this experiment was that even though more dilution means less overall sugar/ounce, the shaken drink had an increased perception of sweetness. It needs the texture. That’s all there is to it. Stirring, for the win. 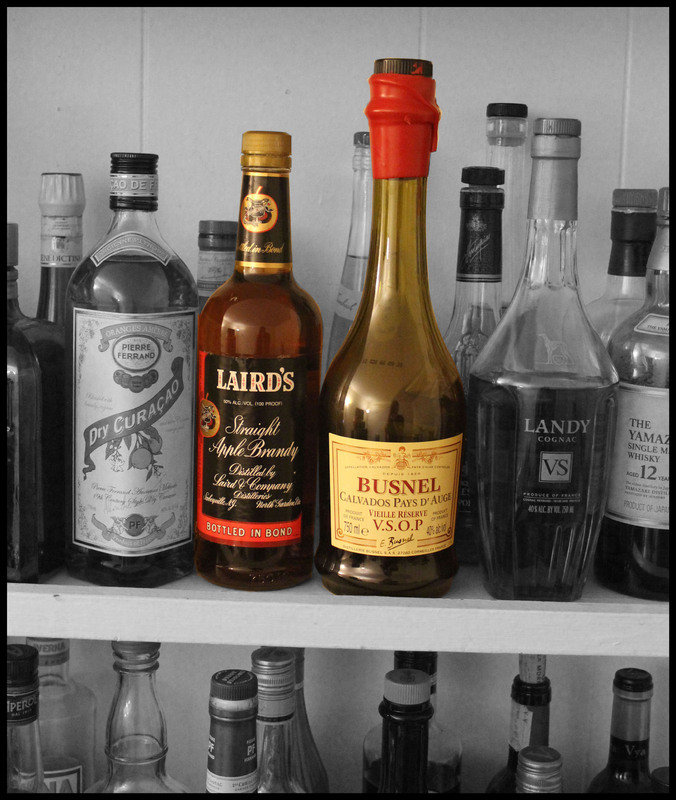 As for reducing the ratios of the liqueurs (a.k.a. How I Learned To Stop Worrying and Love the Sweetness): maybe you shouldn’t try to mitigate the sweetness. Maybe you should just accept that this is a sweet drink. My feeling is that the Widow’s Kiss is a perfect after-dinner-on-a-brisk-winter-night drink. Apple, honey, cinnamon spice… what could be better than that? It’s strong and warming, with no ingredients under 80 proof. It’s pungent and herbal, with complexity that unfolds over time. The sweetness helps neutralize the strength, the thickness helps justify the sweetness, and the flavors help recommend it all. They lean on each other like a tripod, and changing one brings the whole thing down.